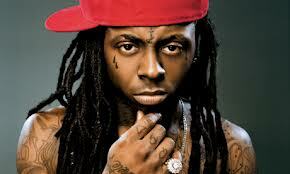 Lil Wayne is no longer a resident of Cedars-Sinai Medical Center in West Hollywood, Calif. The rapper has officially been released after days in the ICU. The 30-year-old rapper spent six days in the hospital in the past week, most of it in critical condition and intensive care after suffering multiple seizures. It appears that an overdose of sizzurp cause the episode(s). Friday night, fans feared the worst as reports indicated Lil Wayne was being read his last rites, placed into a coma and breathing only through tubes. The star's camp denied the severity of the whole situation, and sure enough, he was upgraded to stable condition Monday, and now he's outta there. Sources say he's weak still, but a lot better after stabilizing. Weezy plans on laying low until he makes a full recovery. Maybe he and Lindsay Lohan can go to rehab together. Both could clearly use a little assistance. Too much codin in the system, lucky him.